Based on new primary data gathered from 4,000 young people (aged 16 to 24) and 1,000 Gen Xers (aged 41 to 50) across the U.K., the study — Tech Know-How: The New Way to Get Ahead — explores how people use technology today and examines both present and future expectations. It reveals that individuals with higher levels of tech know-how earn more as their career progresses, with a ‘tech literacy wage premium’ of £10,000 per year. The implied salary increase from these tech-savvy individuals could add approximately £11 billion to U.K. GDP by 2022. BT and Accenture Strategy, in association with Oxford Economics, commissioned this research to explore the relationship between tech literacy and social mobility in the UK. It tests our shared hypothesis that individuals with higher levels of tech literacy also experience improved professional prospects and greater social mobility. We gathered primary data from 4,000 16 to 24-year-olds, in addition to 1,000 41 to 50-year-olds to provide a point of comparison with individuals further along in their careers. This was a nationally representative sample which reflects the UK’s diverse educational, occupational and income groups. This primary data was combined with a range of secondary sources to explore new connections between tech literacy and social mobility. The findings were then tested through a series of interviews with experts from the CBI, Social Mobility and Child Poverty Commission, Department for Education, and Teen Tech, to formulate recommendations for tackling the challenges identified in this study. Accenture’s global Skills to Succeed programme aims to plug employment and entrepreneurship gaps using technology. Our goal is to meet this need, Accenture in the UK has focused its Skills to Succeed programme on helping disadvantaged young people to get ready for an increasingly digital economy. How we work and the skills required for the work environment are changing. Accenture in the UK has combined its learning and technology expertise to create innovative learning programmes such as the Skills to Succeed Academy and the Digital Skills platform, while its Movement to Work technology work placements are helping young people enhance their prospects for success in a digital world. Primary education – the Barefoot Computing Project is a computational thinking programme for primary school children from BT and CAS. It helps primary school teachers get confident with the building blocks of tech literacy through free teaching materials and face-to-face workshops from specially trained volunteers. It has reached more than 45,000 teachers and through them 1.25 million children, and is used in 50 percent of primary schools in England (end of academic year 16/17). An Ipsos MORI study showed that teachers who use computational thinking see positive impacts on pupils’ numeracy, literacy, problem-solving and collaboration skills. Teenage years – We’re partnering with 5Rights to find new ways to empower young people to confidently navigate the digital world. 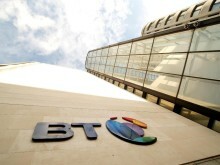 Transition to work – BT’s Work Ready programme helps disadvantaged 16 to 24 year-olds prepare for the modern world of work, through skills development and hands-on experience of jobs powered by technology. More than 2000 young people have started a Work Ready placement, and of those who complete, more than 50 percent go on to education, training or employment. Working with the Rio Ferdinand Foundation we’re reaching even greater numbers of young people from disadvantaged inner city areas, including London, Manchester, Doncaster and Belfast. We calculate the expected average salary in five years' time based on i) no change in tech skills and ii) the expected increase in tech skills. Taking the difference between these two estimates, we can approximate the average salary increase resulting from an upskilled emerging workforce. We then gross this up by the approximate size of the emerging workforce to generate an estimate for the economy-wide increase in salaries. Given that employee compensation is a component of total incomes generated (GDP(I)), we directly attribute the increase in salaries associated with higher tech skills to an increase in GDP. Please note that these estimates do not account for any other direct or indirect effects on GDP from an increase in tech skills.